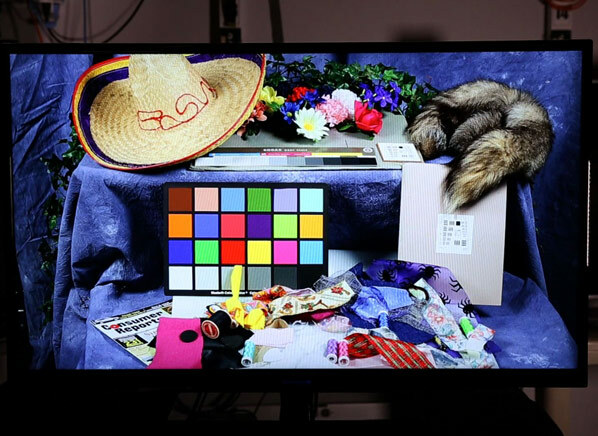 The Seiki 50″ Ultra HD TV sells for around $1,500, but Consumer Reports says to save your money. With many Ultra HD (or 4K) TVs ranging in price anywhere from $5,000 to $25,000, early adopters who want that level of visual definition without going bankrupt may be tempted to buy Seiki’s 50″ Ultra HD for around $1,500. But our TV-testing siblings at Consumer Reports say you’d probably be better off saving your money for now. Ultra HD screens have four times the number of pixels as today’s 1080p HD TVs (the 4K moniker comes from rounding up the 3840 horizontal pixels to 4,000), and just like other 4K sets, native Ultra HD content looks great on the Seiki, with sharp, detailed images and no visible pixel structure, even up close. But as CR points out, while you get the fancier 4K screen with the Seiki, the manufacturer has cut features that most high-end TV buyers have come to take for granted, like wifi, Internet connectivity, and 3D. And while competitors like Sony, LG, and Samsung have been bolstering their top-dollar Ultra HD sets with improved sound systems, you won’t find one on the Seiki. CR notes that customers can have their controls unlocked by a professional calibrator, but that would require spending hundreds of dollars, further eating into the value of the set. Since there isn’t exactly much in the way of native Ultra HD content out there — most of what I saw 18 months ago at CES were still images — most buyers of 4K sets will be upconverting HD content to the higher resolution. And though the Ultra HD set is supposed to be an improvement on HDTV, CR found that the Seiki still has several problems that you see on current LCD screens, like motion blur on faster-moving scenes, and a moderately narrow viewing angle. The Seiki is currently the only widely available Ultra HD set in this price and size range. Sony is introducing a 55″ Ultra HD set for around $5,000, but that’s still well beyond the price range of comparable HDTVs.